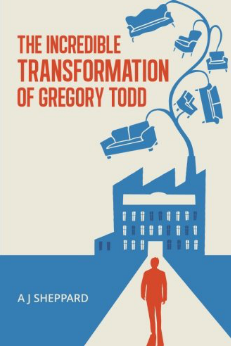 "The Incredible Transformation of Gregory Todd: A Novel about Leadership and Managing Change" is a novel which shares the real-life reality of business transformation in all of its ups and down. 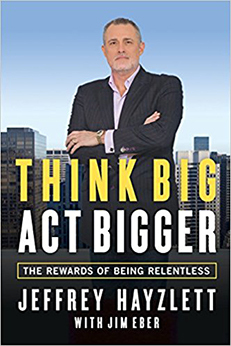 If your organization is struggling to make an impact with its product, this fictionalized story will provide all of the lessons and inspiration you to boldly lead and move forward. For business leaders, the problem of transformation isn’t about knowing what to do, it’s about know how to apply what we know to what we need to do. Written by a 15-year consultant in the manufacturing industry, The Incredible Transformation of Gregory Todd shows uses the story of a fictional company with real problems to demonstrate how complex (but solvable) business transformation can really be. In The Incredible Transformation of Gregory Todd, a fictionalized company has a problem. They’re not growing. The company is still making sales, but executive management wants the company to “improve their numbers” or they are out. 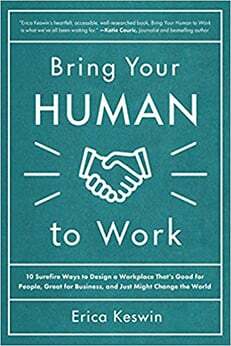 The book follows the story of how this company made a quick turnaround using the insight of a business consultant who brings in the TQM and Six Sigma philosophy, whether they are ready for it or not. A.J. (Andy) Sheppard is a writer and business consultant who draws on an academic background mixed with work experience in manufacturing engineering including work for Shell, and Crown Cork. After working in these companies, he launched his own 15-year consulting career helping businesses combine their technical expertise with “people expertise” for better efficiency. The Incredible Transformation of Gregory Todd manages to take what could be a very boring subject (manufacturing process improvement) and turns it into an engaging novel that shows the real-life struggles of a manufacturing company. If you have some familiarity at all with manufacturing processes like TQM or Six Sigma, the book’s plot will allow you a sneak peak into what that process will look like in the real world through the characters. Readers will come across characters who consciously and unconsciously sabotage the business transformation process. The book doesn’t follow predictable “insert manufacturing process and everything is OK” kind of story. Readers get a story with a lot of twists and turns, or as much can be expected from a novel on manufacturing. The book isn’t an action thriller, but it does offer more “drama” (the kind you would actually find in reality) than the typical book on manufacturing. The Incredible Transformation of Gregory Todd does an excellent job at demonstrating the harsh reality of business transformation (it’s not pretty!). Unlike most shiny, new business advice books would have you believe, the process of transformation involves a lot of starts and stops. The book falls short, however, in two areas: the backstory and technical depth. Because it’s a fictionalized account that starts right from the crisis, readers don’t get the complete backstory. In addition, the book lacks resources for further study. The Incredible Transformation of Gregory Todd gives product-based business owners (aka manufacturers) an opportunity to “see” how processes like TQM and Six Sigma work in real life. If you have been intrigued by Six Sigma but didn’t understand how the philosophy would work in your business, the book provides a sneak peek at some things you might expect to see. 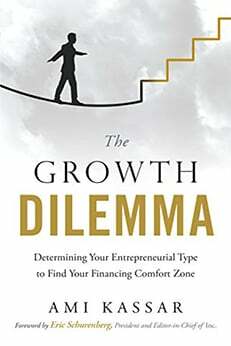 Charles Franklin is a Book Reviewer for Small Business Trends. He has a background as a professional reviewer, and is also a content provider and customer relations professional. That’s an interesting twist to it. Instead of having an article that discusses the How-To’s, you get a real story.